Educational Counselor can get more leads for their agency. Want to know how? Converting leads could have been a simple matter of charm and persuasion a decade ago for educational counselor. But, now it’s much more complex. Students have become very much tech savvy, and generally more aware. They look for an educational counselor that evolve and adapt to the changing times. Thus, you have to become adaptive to the major changes taking place in the world. What’s more trending than technology these days? Nothing, right! So, while we can’t promise you perfection, no one can. We will, most definitely, help you adapt to the changes by introducing you to educational consultants CRM. With the experience of more than ten years in the industry and thorough research, we have come up with something every educational counselor should be aware of and use- Agentcis. Agentcis was designed specifically for educational counselor to assist them in various operations. Moreover, our team has identified major issues surrounding leads conversion. And have added appropriate features so that you can grab and convert hot leads asap! Did you know that teenagers and young adults spend an average of 27 hours a week on the internet? That’s like 4 hours a day. So, it’s quite obvious that they’re most comfortable here. The educational counselor should emphasize finding these leads online. Like just think about how hectic it would be to find a consultancy online, call for an appointment and locate the office before actual work is discussed. This is exactly why Agentcis provides a dynamic Web-to-Leads form. Your agent can share this form on any online platform, may it be through social media or emails. Here, the students can easily select their preferences and share information without having to walk into the office. Everyone wants to get an instantaneous response. If education counselor can do this then leads will definitely convert. It is the key to any successful business. If you take days to respond to a simple query, leads will lose interest. This is not what you want. However, students can approach educational consultants anytime. Weekdays, weekends, day, night, you name it. So, it is always better for them to stay ready at a moment’s notice. Agentcis allows you access to your office from anywhere. This is the best part of our system! Got a laptop and an internet connection? That’s all you’ll need to access your office. Moreover, when leads send in their information through your Web-Forms, you can respond with instant quotations. Impress your leads and show them that they are your top priority. I’m sure you’ve read this a million-gazillion times. But what does providing personal service actually mean for education counselor? Well, don’t mean to sound like a broken record, but the devil is in the details. While dealing with hundreds of student records, how can your agent remember everything? Seems impossible, yes? Well, not when Agentcis, educational consultants management platform has your back. An educational counselor can add personal notes relating to specific Clients to their respective application process. This will help them remember every little detail that was discussed with their client. Keeping you prepared at all times, just a light review and your appointments will go smoother than ever before. Agentcis also constantly reminds you of any important appointments and meetings through email notification and reminders. So, there’s no chance you’ll miss out on important details and dates. 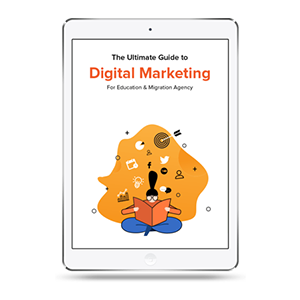 Besides this, you can enjoy tons of features that will boost your education agency business. You can get more ways to generate leads on lead squared as well. Agentcis is a highly efficient Agency management solution for educational counselor. We strive to make your business better!